When you stand in the middle of Horse Lake Ranch, you stand in the middle of a conservation success story. This 1,500-acre reserve represents a critical piece of protected open lands in the Wenatchee Foothills. Wildlife can move from mountains to the valley. Mule deer will always find a winter haven here. People can hike for miles on trails that start right out the city’s back door. With assistance from the Icicle Fund and the U.S. 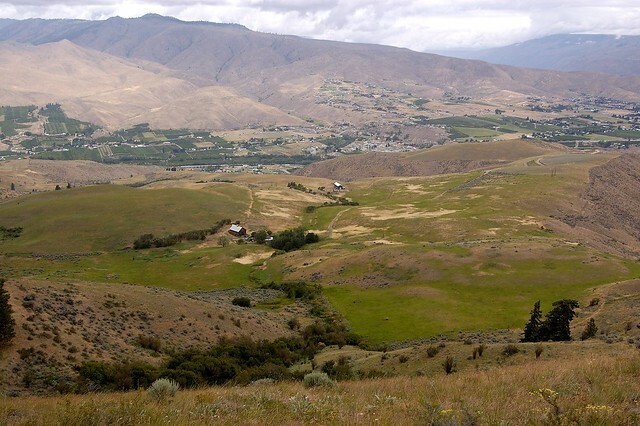 Fish and Wildlife Service, expertise from the Wenatchee Sportsmen and the Wallace and Burts families, the Chelan-Douglas Land Trust was able to preserve a piece of our local heritage, forever. Horse Lake Ranch has 360 degree views that showcase land rich with agriculture, water that flows from the Cascades to support healthy salmon, geology that formed our region’s dramatic valleys and ridges, and the people who make this area so special. It truly represents why the Land Trust and its members work so hard to preserve those key areas in North Central Washington, and why collaboration is the key to success. Take an opportunity to visit Horse Lake Ranch, watch the trees change, listen for the birds, and take in the view of the Enchantments—then you can understand how success is measured. The Land Trust has started a large scale restoration project at Horse Lake. Click here for more information. For a list of common plants of Horse Lake Reserve, click here.